Nantes paid tribute to their former striker Emiliano Sala before their first home game since his disappearance. 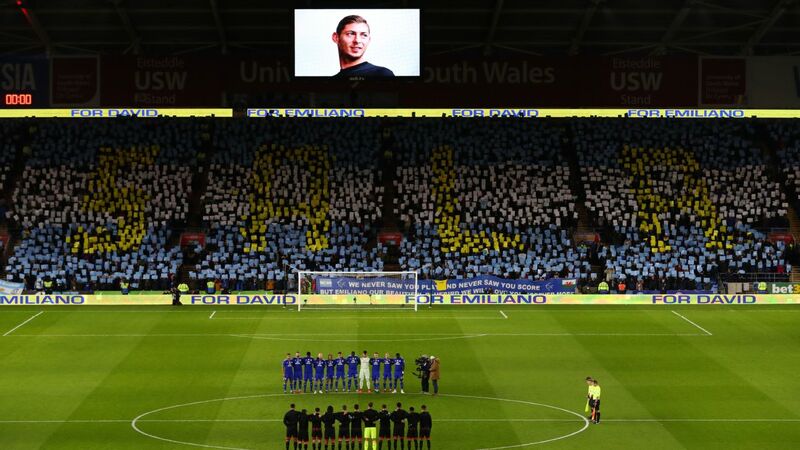 Arsenal and Cardiff City unite for an emotional tribute at the Emirates over the tragic Emiliano Sala situation. The wreckage of the plane that went missing while carrying Cardiff City's record signing, Emiliano Sala, and pilot David Ibbotson has been found on the seabed of the English Channel, the UK's Air Accidents Investigations Branch (AAIB) has confirmed to ESPN. The Piper Malibu aircraft went missing on Jan. 21 after disappearing from air traffic control's radar while flying over the English Channel on the way to Cardiff, Wales. Sala had just completed a £15 million transfer to Cardiff City from French Ligue 1 side Nantes and had been due to train with his new teammates the next day. An initial search for the aircraft was called off after three days, with investigators unable to locate any sign of the aircraft. That led the family of the Argentine footballer to launch a crowdfunding page to finance a private search. After the goal was met, the private search began Sunday, led by marine scientist David Mearns working in tandem with the AAIB. Cushions believed to have been from the plane were located on a beach near Surtainville in northwestern France by somebody walking there Monday. A search boat located the plane Sunday morning after underwater searches commenced. The wreckage has since been identified as from the missing plane. The families of Sala and Ibbotson have been informed of the discovery.